A total of four E-6B mercury planes are airborne over the East and West coast, according to a website that monitors air traffic. The powerful jet is a flying command centre used in the event of a nuclear war. It can launch nuclear weapons anywhere in the world. The launch comes hours after US president Donald Trump told troops they must prepare for war with North Korea as Kim Jong-un continues to threaten a deadly missile strike. Tensions between Pyongyang and Washington are now at breaking point after the North trashed any thought it would stop testing its ballistic missiles. The secretive state’s aggressive stance prompted General Herbert McMaster to reveal Trump’s strategy for dealing with the psycho nation. 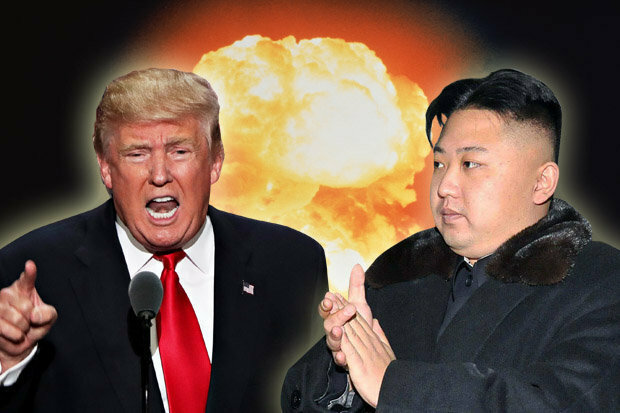 The North has pushed the world to the brink of World War 3 this year with a series of missile and nuke tests that have put the US on the edge. Plans involve the destruction of missile launch sites or weapons stockpiles. Kim has repeatedly launched missiles and detonated his most powerful nuclear weapon in a series of tests this year. He believes expanding his nuclear arsenal will secure the regime’s rule and allow the North to defend itself from its neighbours and the threat of a US invasion. 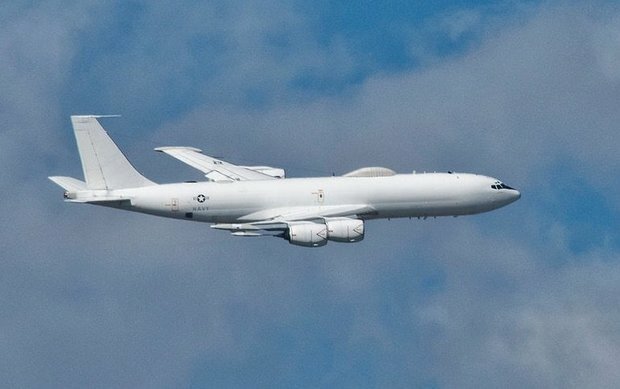 It is unclear what its purpose or final destination of the E-6B jets are – but the military plane is designed to spot and identify enemy targets for attack. The state-of-the-art communications planes can harness the awesome power of the US nuclear weapons arsenal, firing ICBMs (Inter Continental Ballistic Missiles) anywhere in the world. The Boeing based aircraft – which cost $141.7 million per unit – was reportedly involved in a classified training mission organised by the DoD (Department of Defence).